Christ is calling every believer to come apart and enjoy spiritual intimacy with Him through various aspects of prayer: adoration, confession, intercession, listening, thanksgiving, petition, praise, singing and waiting on Him. This is not an invitation open only to a few “dare-saints”—but an access into the presence of God offered to all New Testament believers. And it is all of grace through faith. God wants to have this intimacy with us more than we will ever know. I received a call once from a lady in California. She was bedridden and couldn’t move from the neck down. But she had a world map mounted on her wall. As she lay there, she would pray for seven hours a day. This was her work. As she told me about the various countries she had been praying for, it was amazing to me to see that these were the very areas in which we’ve been experiencing open doors and revival. Prayer works. We as individuals can make prayer a part of our daily lifestyle, if we are willing to break from our culture and live for God. I know housewives who are able to pray while they do dishes, fold laundry and do other household chores. Others pray and praise as they ride to work. Each of us can rise early or schedule other times to be alone and wait on God. In early 1976, when the Lord began to break my heart over the lostness of the world, one of the first things we did as a family was to call a few of our friends and start a prayer meeting in our home. That Tuesday night meeting still continues without fail after all these years. We spend the first part of the evening in worship and praise with brief testimonies and thanksgivings. We don’t spend the time chatting but hear reports from different countries of the world, individuals, tribes and unreached people groups. Frequently we will pause to break into small groups or pairs to pray over each request. In this way, we have seen hundreds and hundreds of specific answers to prayer. If there is not a missions prayer band in your church or neighborhood, why not start one? If one already exists, why not go and add your faith and warmth to that group. If you would like some tips on how to have a balanced, lively prayer meeting, just write me and ask for a copy of our brochure Guidelines for Effective Prayer Meetings. I’ll be happy to send it at no charge. Or you can download a copy at gfa.org/pray. Excerpt from Chapter 15 of The Road to Reality (ISBN 9781595891136) © 2012 by KP Yohannan, the president and founder of Gospel for Asia. 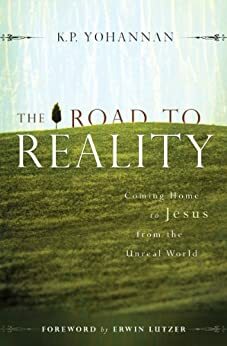 This entry was posted in The Road to Reality and tagged Christian-living, Classic, Discipleship, Dr. KP Yohannan, gfa, Gospel for Asia, Great-commission, Jesus, K.P. Yohannan, KP Yohannan, Missions, Radical, Spirituality on November 26, 2013 by gfaseo. The New Testament Church was born in a prayer meeting at Pentecost. Jesus promised power to His Church if they would but wait on Him. Paul’s writings are filled with so many references to prayer it almost seems as if he spent his entire ministry simply praying from one city to the next! But the awesome prayer life of the apostles and the early Church was only a pale reflection of our Lord’s devotion to prayer. When we look at the life of our Lord Jesus, we are amazed at how important He considered prayer. He began His ministry with 40 days of fasting and prayer. At critical junctures, such as choosing the 12 disciples and before going to the cross, He spent whole nights in prayer. Jesus was forever withdrawing from the crowds to spend extended times alone with God the Father. Yet, for Jesus, it was more than just spending time. Jesus not only made prayer a priority, but He modeled a life of constant prayer. Jesus demonstrated an attitude of prayer in His every action. Jesus showed us that true prayer is not found in any of the formulas to which we cling. In fact, it is not necessarily even words or thoughts. Instead, prayer starts with what you are in your heart! It is more an attitude than an action. Effective, genuine prayer is a dialogue with God. It rolls together dependence, humility, obedience, submission and worship. Finally, it waits on God to display His grace and mercy. Such prayers as these may burst forth with a single phrase or sentence. This is why the Lord Jesus would frequently lift His eyes to the Father and utter one-sentence prayers that brought instant answers—healed bodies and stilled storms. More than by giving us a set of phrases and words, Jesus exemplified a moment-by-moment dependence on God in His prayer life. We have not learned to pray as Jesus taught us to until we have learned to live prayerfully as He did. His prayers sprung naturally and spontaneously out of a constant awareness of the Father’s will. He enjoyed a well-practiced intimacy with the Father. He did not pray to God, but with God. Until we learn to pray with the Son in the same way He did with the Father, we have not learned the basic posture of prayer. Excerpt from Chapter 14 of The Road to Reality (ISBN 9781595891136) © 2012 by KP Yohannan, the president and founder of Gospel for Asia. This entry was posted in The Road to Reality and tagged Christian-living, Classic, Discipleship, Dr. KP Yohannan, gfa, Gospel for Asia, Great-commission, Jesus, K.P. Yohannan, KP Yohannan, Missions, Radical, Spirituality on November 20, 2013 by gfaseo. Nothing reveals the bankruptcy of modern Christianity more clearly and quickly than the current crisis in prayer. It has reached emergency proportions and demands our attention. After all, because prayer is the ultimate act of spiritual intimacy with God, shouldn’t it be the central activity of our whole lives? It cannot be that we lack teaching on prayer; our bookstores and churches abound in books and seminars on the subject. The awful truth, whether we admit it or not, is that we don’t pray because in our hearts we don’t think we really need God. We don’t know how to pray because true prayer can only originate from a life emptied of self-sufficiency. The Church we see today is truly the church of Laodicea described in Revelation 3:14–22. There is no more accurate description of our spiritual condition anywhere in the Bible. Jesus said of this church, “I know thy works, that thou art neither cold nor hot: I would thou wert cold or hot. So then because thou art lukewarm, and neither cold nor hot, I will spue thee out of my mouth. Because thou sayest, I am rich, and increased with goods, and have need of nothing; and knowest not that thou art wretched, and miserable, and poor, and blind, and naked” (Revelation 3:15–17). Our prayerlessness highlights our self-sufficiency. This I-can-handle-it-myself mind-set is the spiritual cancer of our times. It is the root cause of the present powerlessness both in our personal lives and our churches. Because we have not yet comprehended the essence of prayer, we fail to see the arrogance and terrible rebellion of our present state. We have so much else to depend on today—buildings, machines, money, programs and technology. We spend thousands of hours with consultants in study and planning. Yet there seems to be no time to pray. How different our current lifestyle is from the instructions of Christ to the first disciples. After three-and-a-half years of constant example and teaching, what was the only lesson He wanted them to remember? “Without Me you can do nothing!” No wonder He told them to tarry in Jerusalem and wait until they were endowed with power from above, before they went out to fulfill the Great Commission. He wanted them to realize that, in and of themselves, they were headed for disaster. Unless we come to this place of total helplessness, we can never understand prayer. This is why Paul says, “When I am weak, then I am strong.” Prayer is nothing more than voicing our dependence upon God. And the answer to every prayer is nothing more than this: God is with us, in all His power and authority, to make up for our human limitations. Excerpt from Chapter 13 of The Road to Reality (ISBN 9781595891136) © 2012 by KP Yohannan, the president and founder of Gospel for Asia. This entry was posted in The Road to Reality and tagged Christian-living, Classic, Discipleship, Dr. KP Yohannan, gfa, Gospel for Asia, Great-commission, Jesus, K.P. Yohannan, KP Yohannan, Missions, Radical, Spirituality on November 12, 2013 by gfaseo. Today we all stand at the crossroads on the question of personal holiness. Each of us must make the choice about which way we are going to go. This isn’t a choice only preachers or Christian leaders must make, although I pray that it will start there. No, every believing man, woman, boy and girl must decide personally. “Will I surrender to the spirit of our age, or resist and join the company of overcomers?” is the question to ask. Do we want to continue to live in defeat, failure and unrighteousness? Or will we decide to follow the path of excellence that leads to quality of life, inward purity and separation unto God? You now may be saying, “That sounds like legalism to me.” I assure you it is not. We must stop confusing obedience to God with legalism. We must stop confusing holiness with legalism. There is a very real danger of legalism—but that’s not what the Bible is talking about here. Jesus hated legalism and rebuked legalists in some of the strongest language He ever used. But He also taught obedience, holiness, purity and separation. Let’s define legalism in biblical terms. Legalism is obeying the teachings of men as the Pharisees did, adding human rules and standards of behavior onto what God has given. Obedience to the Word of God is different altogether. It comes out of a true commitment and genuine love for the Lord. It is not based on external things and following the interpretations of men. This is the reason why the Lord Jesus Christ frequently told His audience that to follow Him meant they would have to walk with Him as He walked. He said, “No man can serve two masters” (Matthew 6:24). To live for Jesus and follow Him, you must give up your own desires and wishes for your life. That’s what we need today so desperately. There are two sure ways to avoid legalism. First, we must stop comparing our lives with others. This can happen anywhere, even in the best churches and organizations, and it is a terrible sin. Instead, we must bring our lives before the light of His Word. We must yearn to become like Jesus. We must take our eyes off ourselves—and others—and gaze at Him. He alone becomes our standard. Second, I urge you not to be satisfied with fulfilling externals that may be prescribed by your denomination, fellowship, organization or any other traditions of men. Again, you must pursue knowing the Lord Jesus Christ. Learning all about Jesus and His teachings and theology is not what I am talking about. You must spend time with the Lord Himself and learn to know Him personally in your spirit. Fall in love with Him, and get to know Him intimately. You’ll find as you do this that you can obey all that He commands without any danger of falling into legalism. Excerpt from Chapter 12 of The Road to Reality (ISBN 9781595891136) © 2012 by KP Yohannan, the president and founder of Gospel for Asia. This entry was posted in The Road to Reality and tagged Christian-living, Classic, Discipleship, Dr. KP Yohannan, gfa, Gospel for Asia, Great-commission, Jesus, K.P. Yohannan, KP Yohannan, Missions, Radical, Spirituality on November 5, 2013 by gfaseo.